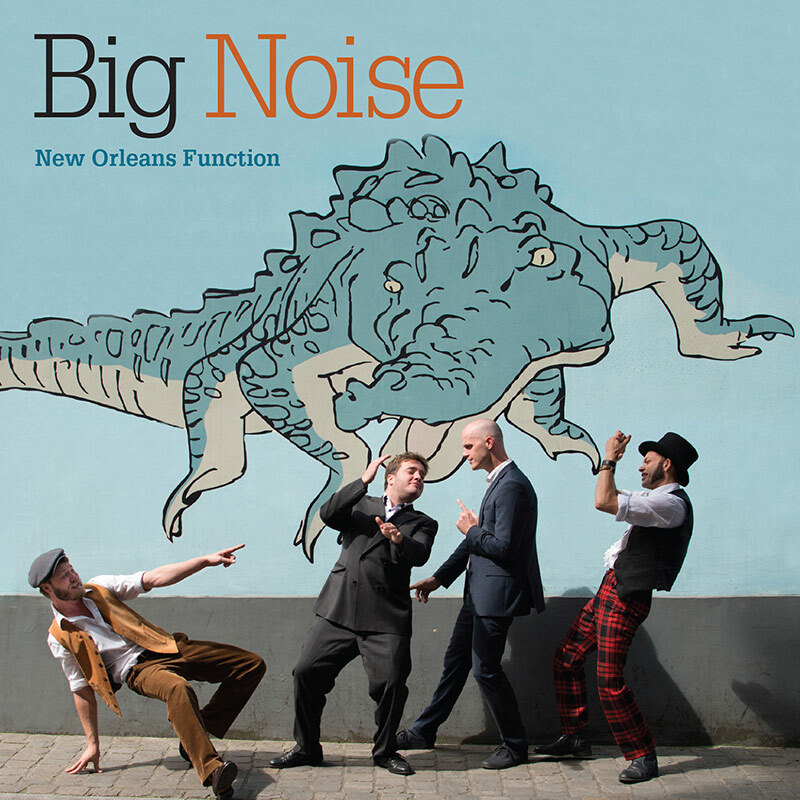 New Orleans Function is Big Noise’s second album. And like the first, it’s a festival of groove, bounce and explosive “second line” New Orleans jazz that sounds as though it comes straight from the bayou. After touring for two years solid on the back of their successful first album in 2011, the quartet went back into studio with the same mad fury and skill to continue playing the music they love most, New Orleans jazz. “New Orleans Function” slips directly into the style, energy and spirit of New Orleans. The arrangements groove even more than before, moving slightly away from the old- school style for a more contemporary feel that leaves room for longer intros, tracks that groove more, have more space and feature more of the “second line” that is so typical of the New Orleans style. The bugle that can be heard throughout the album gives it a very particular colour. The band still pulls on the same infectious energy to drag us back to the roots of jazz, blues, ragtime and stride and make this underestimated repertoire (Armstrong, Ory and Blumley) sound so natural.